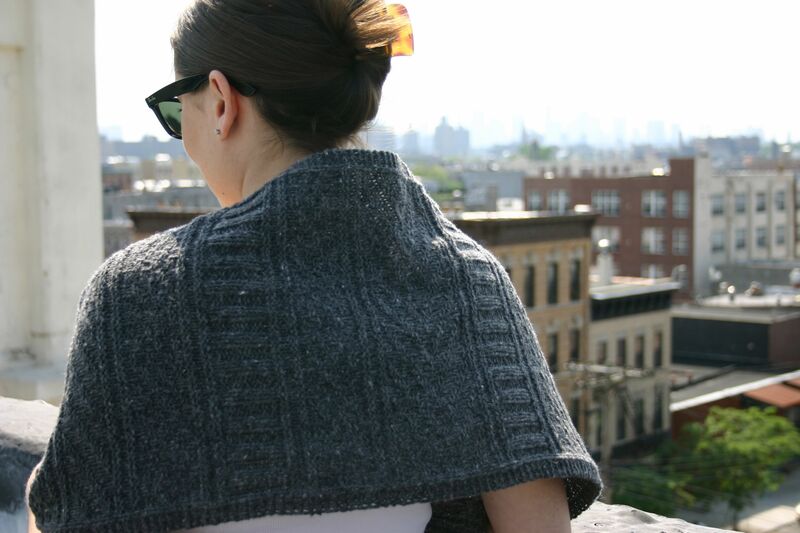 I finished knitting my warm and wooly Guernsey Wrap the same week that the first wave of sizzling heat rolled in to Brooklyn. I blocked this using blocking wires as suggested, though I think I probably should have stretched it a little more while drying. 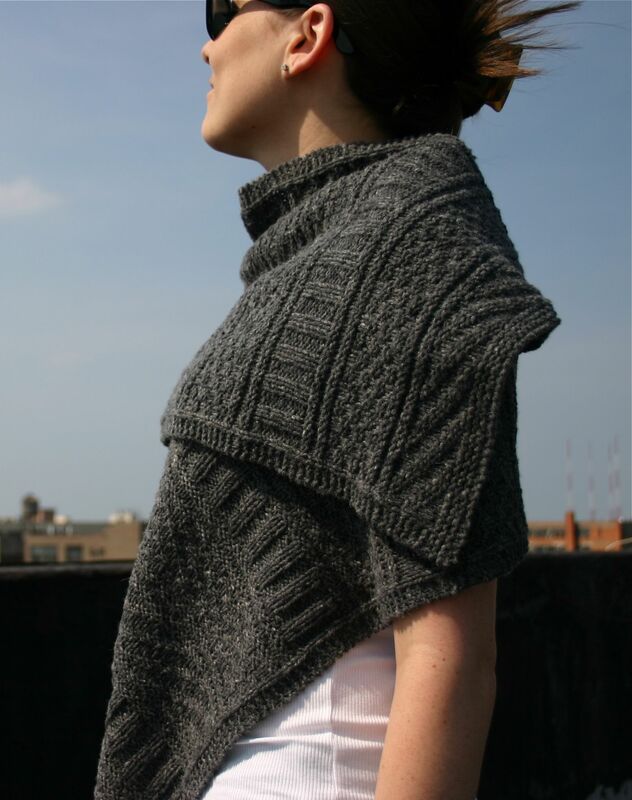 I was very pleased with the yarn and the pattern was extremely well-written. Now I’ll have something to look forward to when the temperatures start to drop again. And until then, I think I’ll enjoy the sunshine! What a gorgeous wrap!! 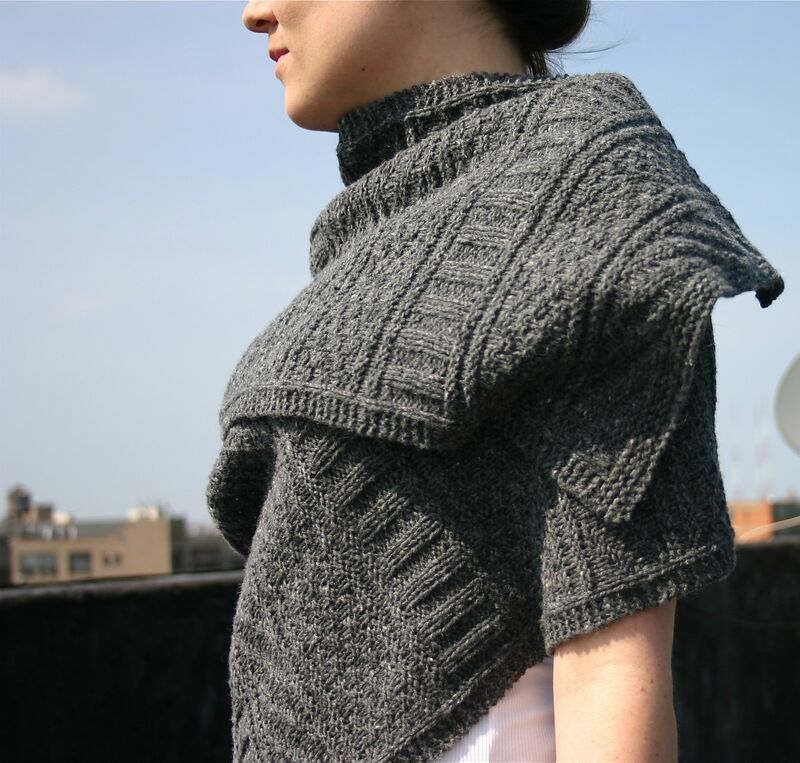 I love the texture, and it looks great on you.